Hi! once again a long time without updating you on our project. 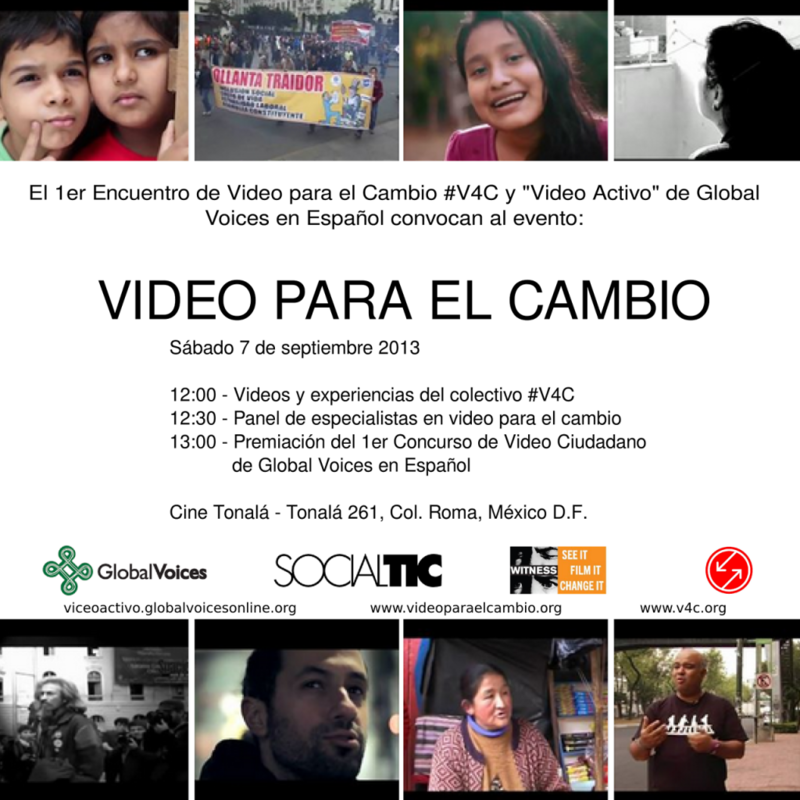 But better late than never..
Video for Change and Video Activo Awards Ceremony. We have now online 4 videos specially created for the project, and a contest running, well, in reality coming to an end… the awards ceremony (yes we will have one!) will be this saturday Sep, 7, as a part of the Video for Change event in Mexico DF. Thanks to our friends of SocialTic for hosting us! After the competition has finished we will resume coordinations to have new videos for the project. 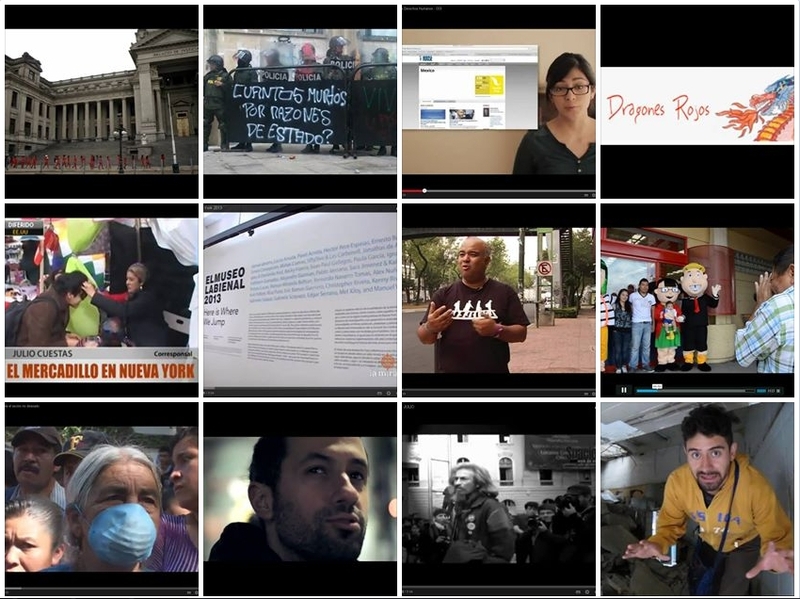 We are interested in videos from Chile, Paraguay, Nicaragua, countries where we have had no participation at all. But also from Argentina, Venezuela and Uruguay, whose involvement has been minimum. These days have been very active in our facebook page, where people are voting for their favourite video on the contest. The video that collects more likes, will have a special prize, consisting of a kit of books on info-activism, courtesy, again, from our friends of SocialTic. You can vote too, just click in this photo album and take a look to the participating videos. Each photo has a link to the video so you can see all the videos from there. This entry was posted in Filming our Posts on September 4, 2013 by Juan Arellano.